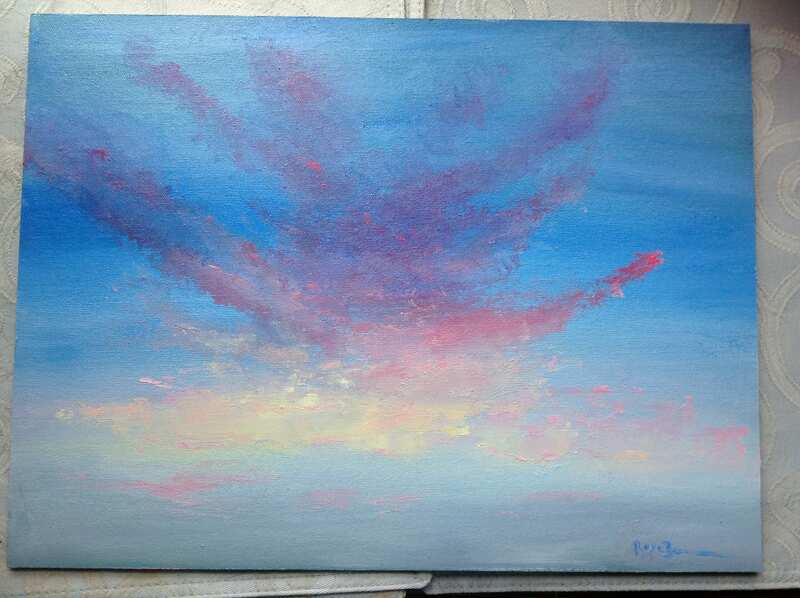 RAINBOW SKY is an original 16" x 12" Unframed oil canvas painting panel. 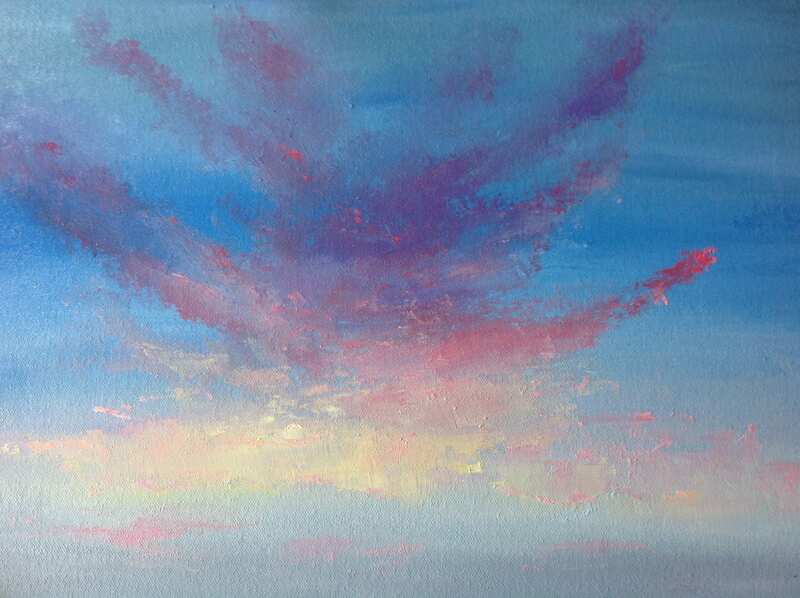 The painting depicts a big sky cloud formation of amazing rainbow colors. I actually saw this sky where I live. It's called Rainbow Sky because of all the rainbow colors in the clouds. There are high purple clouds, with hints of red on the edges. As the sky moves down to the horizon, the sunset tints the clouds a bright yellow. This was an actual scene from my front porch. It can really be anywhere that has a wide horizon. 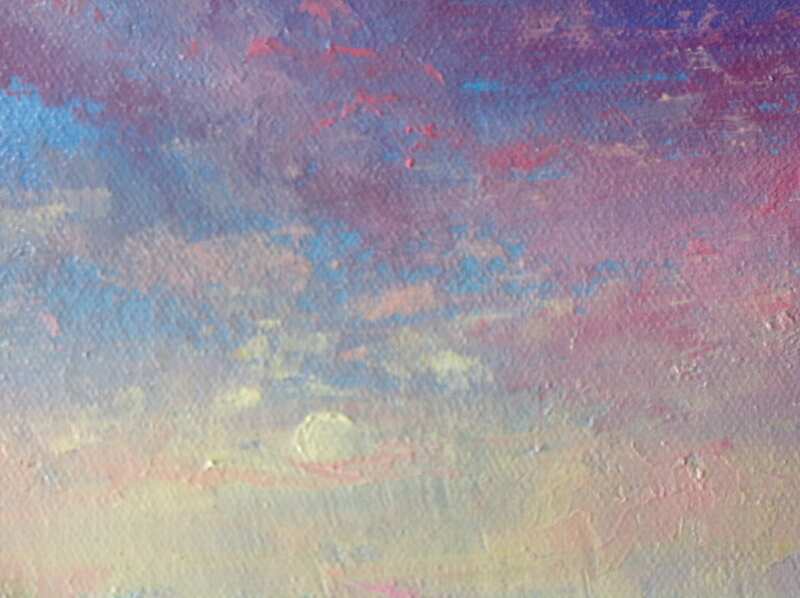 One of the detail pictures shows the thick impasto paint on some of the clouds. 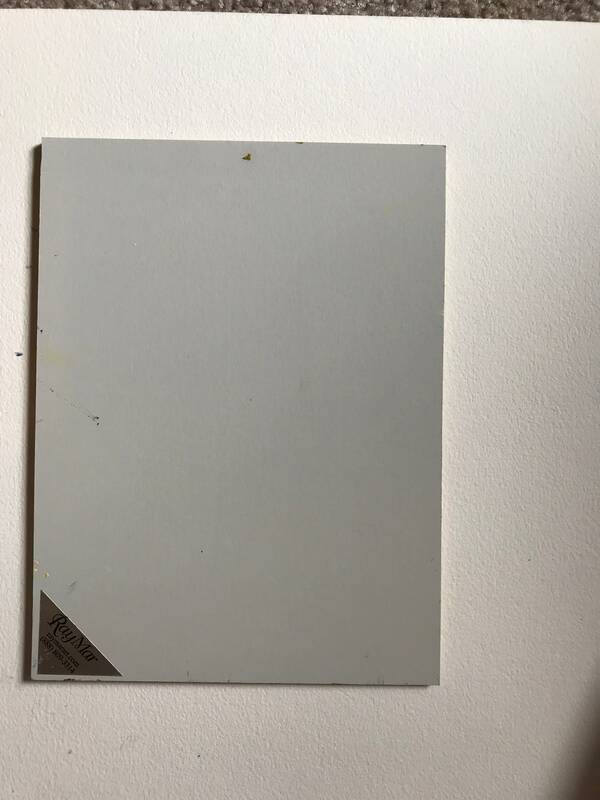 This painting is done on very high quality canvas panel.